Have you ever wondered how your insurance company determines how it will reimburse you for homeowners insurance claims? What if you had a total loss? Would you be able to rebuild? The answers to these questions depend on the type of home insurance policy you have and whether the value of your home is based on its replacement cost or its actual cash value. Insurance companies provide coverage for your home and possessions based on either their actual cash value or their replacement cost. Actual cash value home insurance policies provide coverage for what your home is worth at the time of loss. Replacement cost policies will reimburse you for what it would cost to rebuild your home using all of the same materials at today’s prices. It is important to remember that your home’s replacement cost is not the same as its market value, or how much you could sell it for. A home’s replacement cost for insurance purposes is based on a number of variables that determine what it would cost to rebuild your home with similar materials at today’s costs. The variables that make up your home’s replacement cost will fluctuate over time, so the number is not set in stone. You will need to review your policy at least annually to make sure that your replacement cost figure is keeping up with the times. How should you determine your home’s proper replacement cost? Your insurance company will likely ask you a series of questions about your home and your responses will be plugged into a model that determines its replacement cost. Your job is to have some idea of whether or not the figure is accurate so you can be assured that your home is properly protected or that you are not over-insured. Consider talking to some home builders in your area as well as visiting some home improvement stores to help figure out what it would cost to replace your home’s interior and exterior finishes (including labor) at today’s prices. Together we can make sure that your home is properly insured and its replacement cost is accurate. Don’t forget to evaluate your personal property coverage as well. Personal property coverage in a homeowners insurance policy typically starts out at a percentage of your home’s dwelling coverage, but if you feel you need more coverage because of certain valuable items, don’t be afraid to increase your personal property coverage limit or add special riders or endorsements to protect your valuables. Preparing a home inventory is extremely helpful in determining if you have sufficient coverage for the contents of your home. Once you have settled on a replacement cost figure, remember that it will need to be re-evaluated every year to account for changes in building materials and labor as they fluctuate over time. 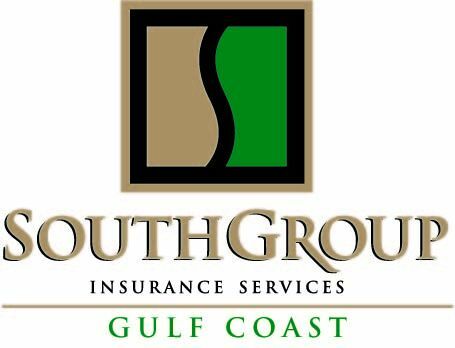 We will work closely with you to determine the replacement cost of your home and belongings, and we can help you with auto insurance, personal umbrella insurance and any other personal insurance needs that you may have. Have you reviewed your homeowners insurance policy lately? Are you satisfied that your replacement cost figure is accurate? Do you need to upgrade your actual cash value policy to a replacement cost policy?